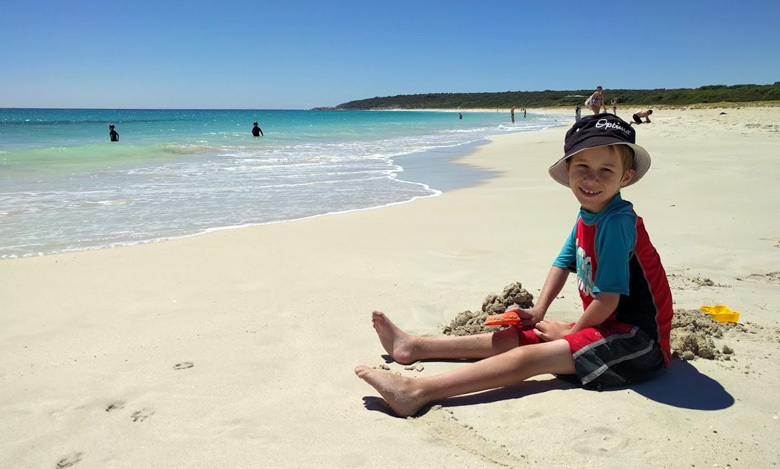 Hi, and welcome to the website about Jetson Wood, created for family and friends to watch him grow and keep updated with his development, and also others who are interested in learning more about Arthrogryposis. Jetson was born in 2009 with a rare condition called Arthrogryposis, a phyiscal disability that can affect people in many ways. He is such a friendly and happy boy, and has very proud parents and a doting sister. His determination is already evident, and there is no doubt he will go a long way and have a very bright future. You can read his journal to find out what he has been up to and how he is developing (and how his parents are coping!). There are also many photos and videos of Jetson. You can read about Arthrogryposis, and read about the treatments that Jetson has had, and inspirational stories of others with Arthrogryposis. send a message and read other messages already received.